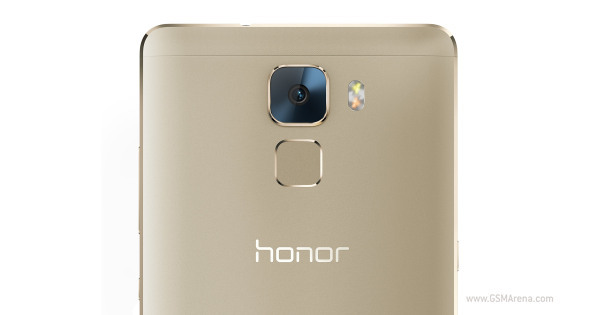 Huawei outed the Honor 7 at a dedicated press event today. It's the company's brand new upper mid-ranger, a hybrid class that has become a thing lately. 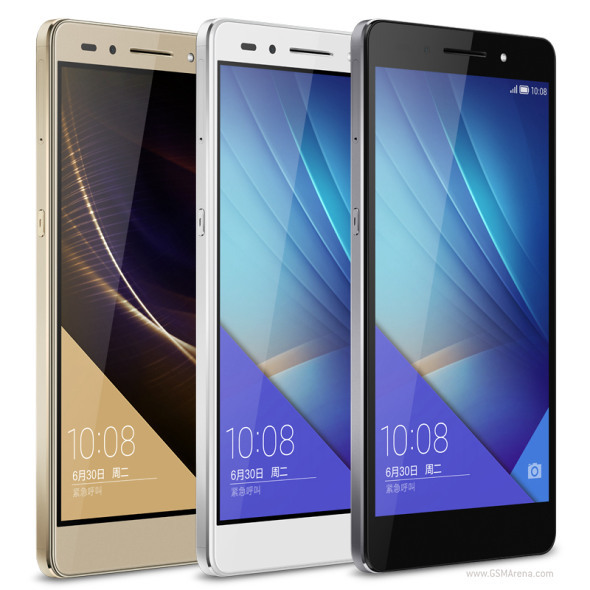 The Honor 7 is all about metal - its unibody is made out of aluminum alloy and will be offered in silver, gold and dark gray flavors. Huawei Honor 7 packs a 5.2" 1080p display and runs on the in-house Kirin 935 chipset, which offers four Cortex-A53 cores ticking at 2.2GHz and another four Cortex-A53 at 1.5GHz, Mali-T628 GPU and 3GB of RAM. This sure isn't the fastest chip around, but it should boast enough power to handle 1080p content easily. The camera of the Honor 7 sounds promising - a 20MP sensor with Phase detection AF, dual-LED dual-tone flash, sapphire protective glass plus an 8MP selfie snapper. Fingerprint scanner is available just below the main camera and it looks a lot like the Mate7's. Other interesting details include a 3,100 mAh battery, fast charging support and Android 5.0 Lollipop with Emotion 3.1 launcher. Huawei will be offering the Honor 7 in three versions - single-SIM model with 16GB storage for about $ 320 (CNY 1,999), add another $35 for dual-SIM connectivity (CNY 2,199), and finally the 64GB dual-SIM unit will set you back $400 (CNY 2,499). All these flavors support LTE Cat.6 connectivity and NFC. 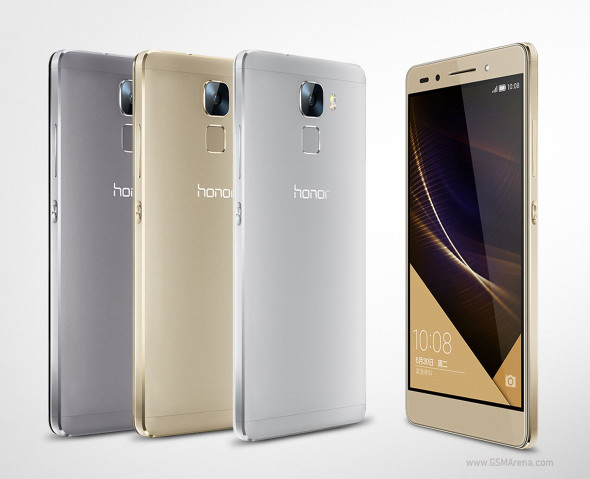 The Honor 7 will hit the shelves in China on July 7, while pre-orders open today. Does Honor 7 support NFC(Near field communication)? No. Honor 6 has an HiSilicon Kirin 920.